Ventair brings to you Gas Hobs for easy cooking. 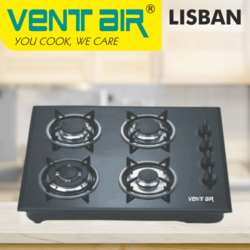 VENTAIR brings to you the four burner glass gas hob, LISBAN. Extremely high quality and safe to work on, Lisban makes you want to cook more! 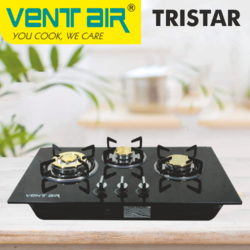 VENTAIR brings to you the most premium 'TRISTAR' of the Glass gas hob variety. The 3 burner hob uses LPG as fuel. You have never used a more beautiful hob to cook on. 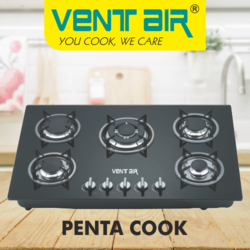 VENTAIR presents to you a fantastic Glass Gas Hob, PENTA COOK, to enhance and ease your cooking and to avail multi tasking for your beautiful family.